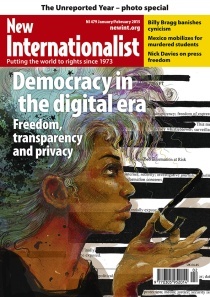 January / February 2015 - "Democracy in the digital age"
Are we talking more or listening more on the internet? Education - change it completely? Paris vs Baga: who chooses what is in the news? Does our money-crazy world really make us happy? This page was last edited on 19 February 2015, at 17:33. This page has been accessed 16,087 times.